Kyle Richards Crashed A Kathy Bates Paparazzi Photo, But Is There More To The Story? Here’s what happened this week on The Real Housewives Of American Horror Story: Late Sunday evening, a Real Housewives of Beverly Hills star tweeted and grammed a photo that a paparazzo snapped of a revered Oscar-winning actress. But it isn’t a picture of just the revered Oscar-winning actress. It’s a picture of the revered Oscar-winning actress and the Real Housewives of Beverly Hills star. 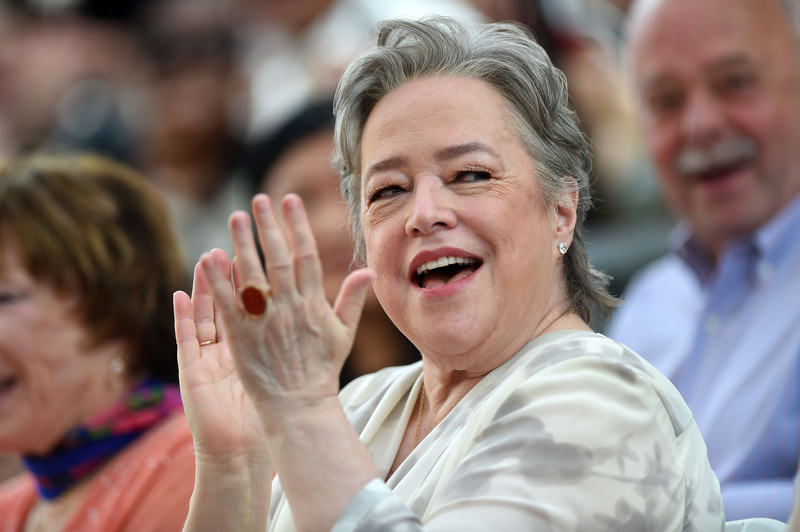 As BravoTV points out, Kyle Richards photobombed a paparazzi picture of Kathy Bates. G'bless. You can check out the magic here. In the photo, we see Bates in the foreground. She stands on a sidewalk with her hands clasped, her chic sunglasses blocking out the bright Southern California rays. If we shift our focus to the background of the photo, we will notice another familiar face. Just a few feet behind Bates, Richards happens to be walking on that same sidewalk, a large Chanel handbag in tow. Though her aviators obscure her eyes (and therefore make it impossible to say for certain who she’s looking at), the tilt of her head suggests she’s looking at Bates. She sees Bates, but we don't know if Bates sees her. Just as we begin to wonder whether or not this image was staged, we look at the photo caption. “When you accidentally photo bomb a Kathy Bates paparazzi shot,” wrote Richards. It was an accident. Happenstance. Coincidence. Just another day in Beverly Hills. But what if there is more to this photobomb than we think? What if — stay with me — Kyle Richards and Kathy Bates were actually hanging out in Beverly Hills, but they had to keep their hang out sesh under wraps? What if — keep staying with me — Kathy Bates is on an episode of the seventh season of RHOBH? What if — I know this all seems wild, but don’t bail on me, I beg of you — a paparazzo happened to capture the moment Kyle Richards was like, “You go ahead, I’ll hang back a few feet. Trust me, no one will never think we were just shooting a scene for RHOBH”? I mean, that’s probably not what happened, but could you imagine if it was what happened? Holy Kyle by Alene Too, it would almost be too much.